I love to drink tea. There is a science to brewing the perfect cup of tea. Here are my tips on doing so. First, you need supplies head over to adagio.com. I recommend starting out with the starter set, pick your favorite kind of tea flavor. I personally love the citrus green tea. I drink it every morning. 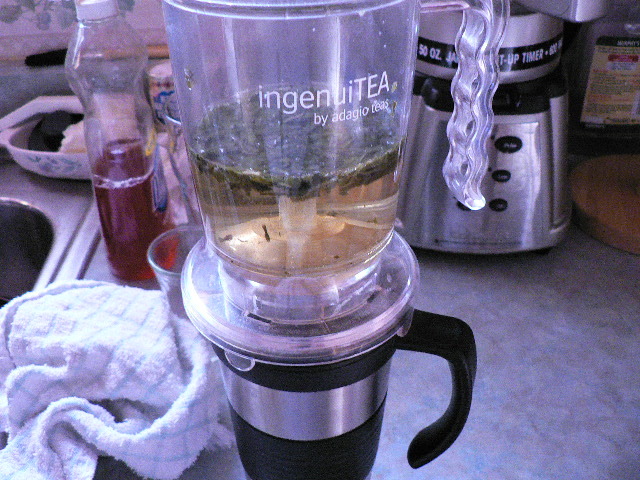 The IngenuiTea, which comes with the starter set. 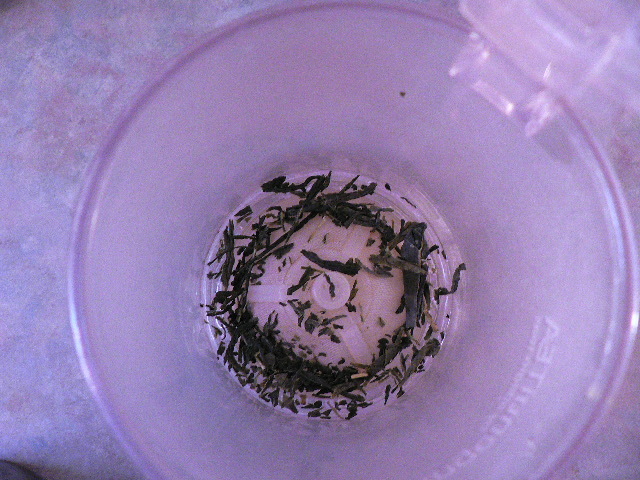 Add about this much of loose leaf tea to the IngenuiTea. 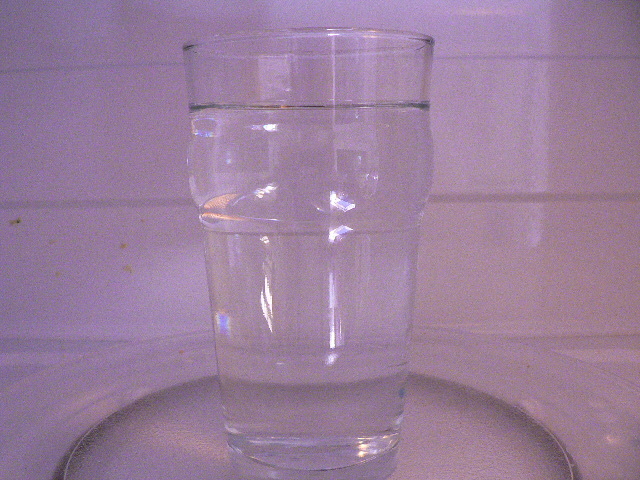 Heat a glass full of water in the microwave for 3 minutes. 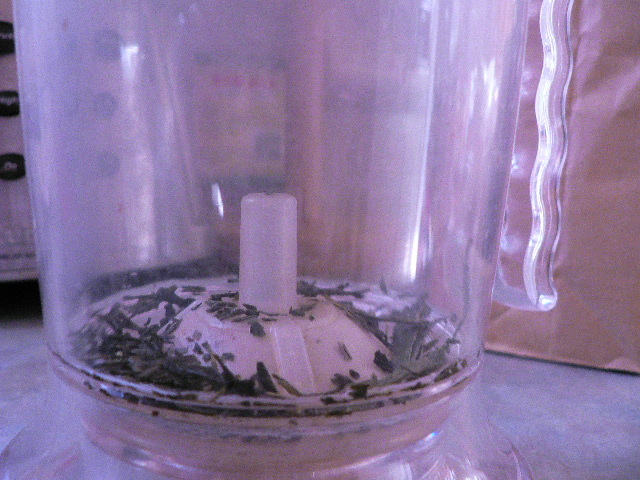 This will get you right around 180 degrees which is the perfect temp for green tea. 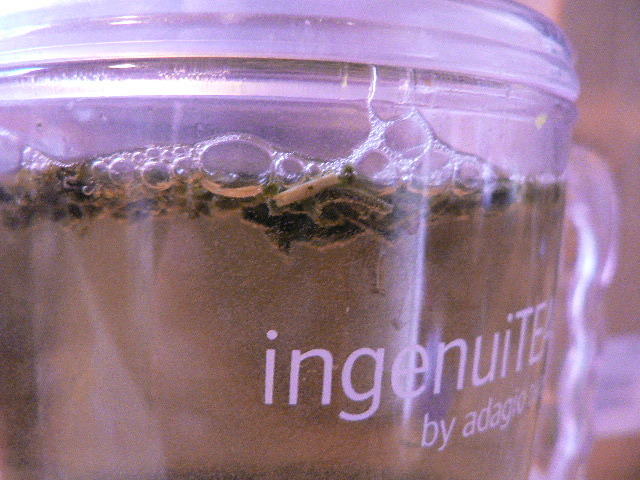 Pour the water into the IngenuiTea and let it seep for 3 minutes. Any longer and it will taste bitter. 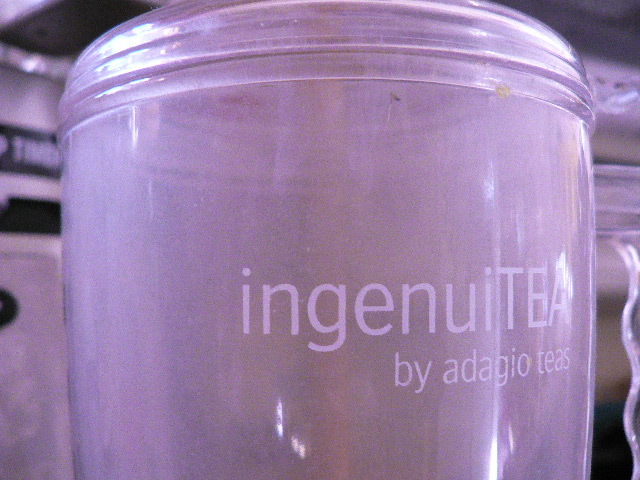 Place the IngenuiTea on your favorite mug and let the tea drain and enjoy! Tea preparation changes for different types… these instructions are only for green tea. This book comes with the starter kit. It will show you everything you need to know about brewing tea.